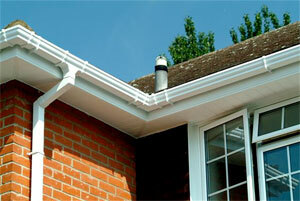 This single piece porch roof is designed to be a cost effective way of constructing porch roofs. Manufactured from rigid GRP and high density polyurethance foam. The roof has excellent thermal insulation qualities. Available in a made to measure foam using attractive dental moulding, once delivered to site the roof can be fitted to the fixing timbers quickly and easily. The lighting conduit is conceled beneath the decorative ceiling which may be painted to suit your taste. We have two means of access; the first is a very capable staging system, which the installers erect on site. This system does have some limitations though, as we cannot span existing structures such as conservatories or porches and there are several site restrictions that can affect its use. The alternative to our staging system is to erect scaffolding. Scaffolding allows access over existing structures and from difficult working areas. However when scaffolding is required it does have an impact on the quotation, and our home surveyors can illustrate these costs.